Two 13-inch video monitors stripped of their housings are turned vertically and positioned like an open book on top of a white pedestal. (The back of the monitors’ tubes rest on vertical supports that are attached to the top of the pedestal, and wires from the monitors extend down inside the pedestal where the monitors’ electronics are shelved.) On the right monitor is an image of a leaf as seen by a handheld camera. 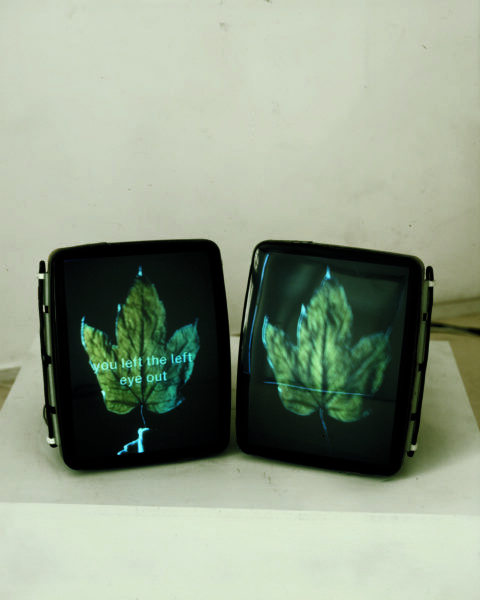 On the left monitor is an image of a leaf held by a right hand as seen by a camera mounted on a tripod. 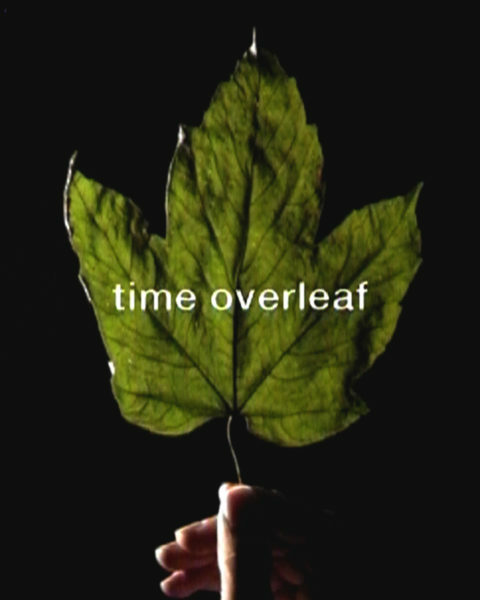 Written text consisting of embedded wordplay (incorporating the words “leave,” “leaf,” “time,” “left,” “right,” “hand,” among others) is superimposed over the two leaf images. The two images alternately flicker on and off at varying rates with only one being on at a given time since they are derived from a single source. An example of this work was first exhibited in a solo exhibition at Galerie des Archives, Paris, France, September 7 – October 19, 1991. “Passage,” WATARI-UM, The Watari Museum of Contemporary Art, Tokyo, Japan, February 5 – April 18, 1999. “Passage a l’art: des lieux et des choses,” Forum culturel du Blanc-Mesnil, Le Blanc-Mesnil, France (Collection of the Conseil général de la Seine-Saint-Denis), May 11 – June 26, 1999. “Vies Parallèles,” Ecole Régionale des Beaux-Arts de Rouen, Rouen, France, October 17 – November 20, 2000. Watari, Shizuko. Gary Hill – I Believe It Is an Image. Tokyo: WATARI-UM, The Watari Museum of Contemporary Art, 1992, unpaginated. 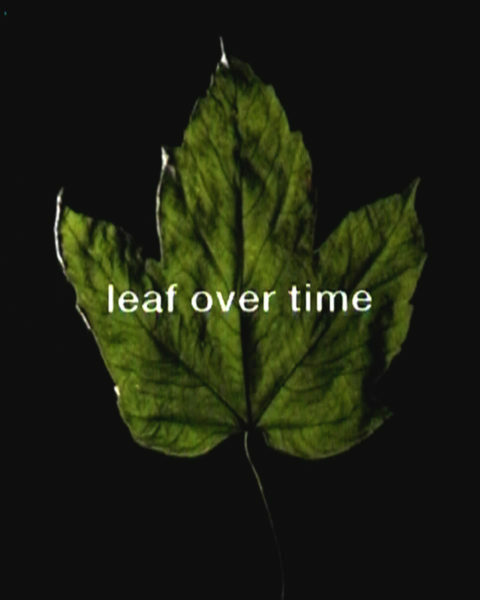 (Including a transcription of the text of CORE SERIES “Leaves,” 1991). Yamamori, Eiji. "Gary Hill." 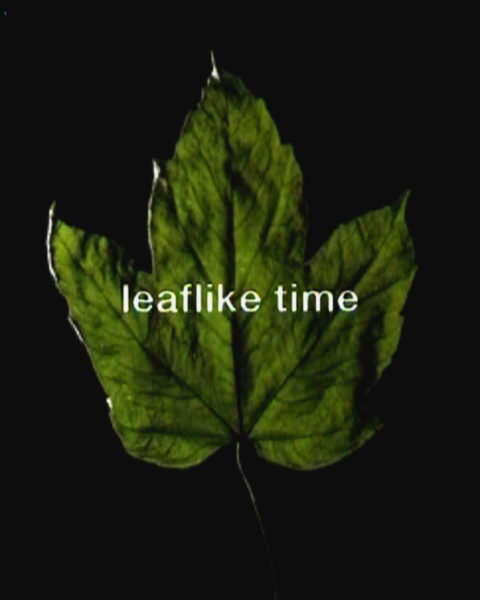 Aera Magazine 5, 27, Tokyo (July 1992), p. 72. Van Assche, Christine. Gary Hill. Paris: Editions du Centre Georges Pompidou, 1992, pp. 43, 46, 51. Van Assche, Christine and Corinne Diserens. Gary Hill. Valencia: Instituto Valenciano de Arte Moderno (IVAM), Centre del Carme, 1993, pp. 16, 43, 46, 51. (Including an excerpt from Gary Hill, “Inter-view”). Fonds départmental d’art contemporain de la Seine-Sainte-Denis, Acquisitions 1994 – 1997. Bobigny, France: Conseil Général de la Seine-Sainte-Denis, 1997, pp. 48, 49. Gary Hill: Selected Works and catalogue raisonné. Wolfsburg: Kunstmuseum Wolfsburg, 2002, GHCR 68, pp. 154 – 155. Quasha, George and Charles Stein. 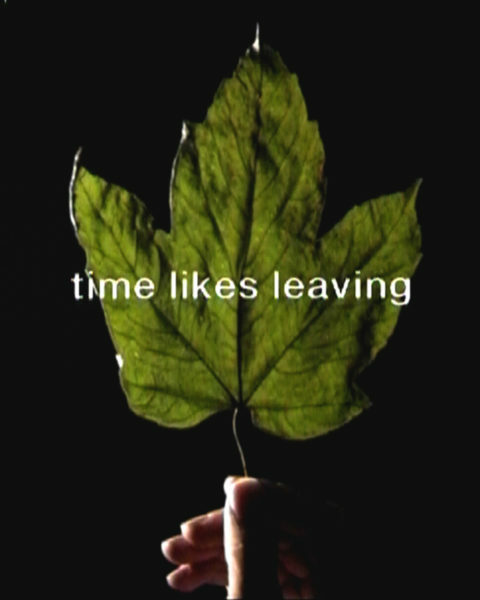 An Art of Limina: Gary Hill’s Works and Writings. Barcelona: Ediciones Polígrafa, 2009, pp. 396, 574.